With Christmas just around the corner, everyone here at the Oyster office is getting into the festive spirit and looking forward to the holidays, but also thinking about the best places to travel to. For many people, having time off over Christmas can be a bit of a mixed blessing, there’s only so many arguments you can have about the best way to roast a turkey! If this is you, why not think about getting away from it all next Christmas and seeing some of the world, either by yourself or with your family? Christmas can be an expensive time to travel but if you are savvy and can travel before the schools break up, you’ll find that there are some excellent bargins to be had. So, where could you go and what could you get up to? If you are wanting to get away from it all but still enjoy a really Christmassy Christmas why not head to Lapland and meet Santa? 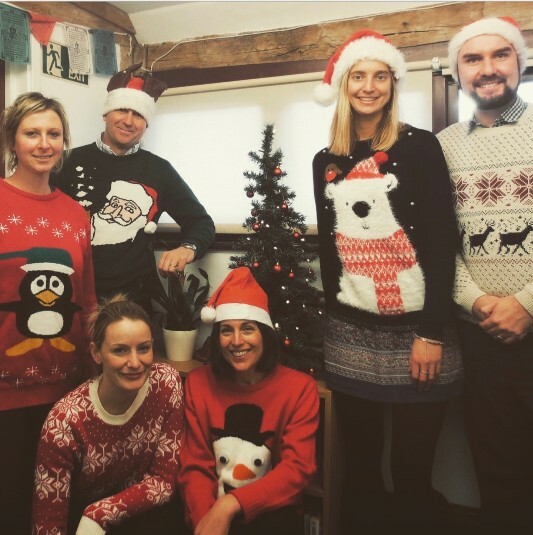 At Oyster Worldwide, a lot of our programmes run all year round, including over Christmas. Whilst most of our childcare and teaching programmes do not run (the schools are on Christmas break! ), the animal welfare programmes are available as the animals always need feeding. Some of our most popular programmes for the Christmas get away this year are in South Africa, Thailand and Canada and it’s easy to see why, the weather is awesome at this time of year (but for different reasons!). In South Africa, on our monkey rehabilitation programme, the weather is due to be hot and sunny with highs of 35oC on Christmas Day. 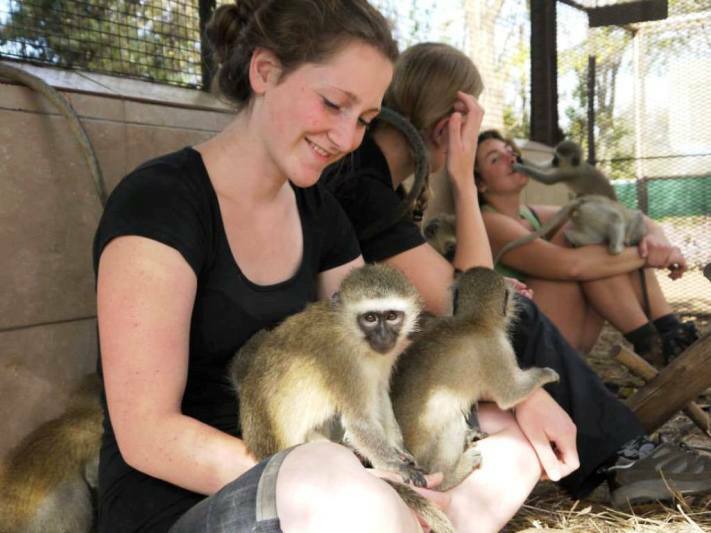 Why not ditch those brussel sprouts and instead spend your holidays as a volunteer preparing food for hungry monkeys and baboons? Volunteers are needed on this project for a minimum of two weeks and this is a great choice for individuals and families alike who want to make a positive impact and do something different with their holiday time. Over in Thailand, we have lots of animal welfare projects available. One of the most popular over the Christmas season is volunteering at a sanctuary dedicated to caring for rescued Asian elephants. These are elephants who have been rescued from appalling conditions where they have been made to perform and beg for money on the city streets. Your role as a volunteer will include spending lots of time with these gentle giants and being immersed in elephant care tasks. 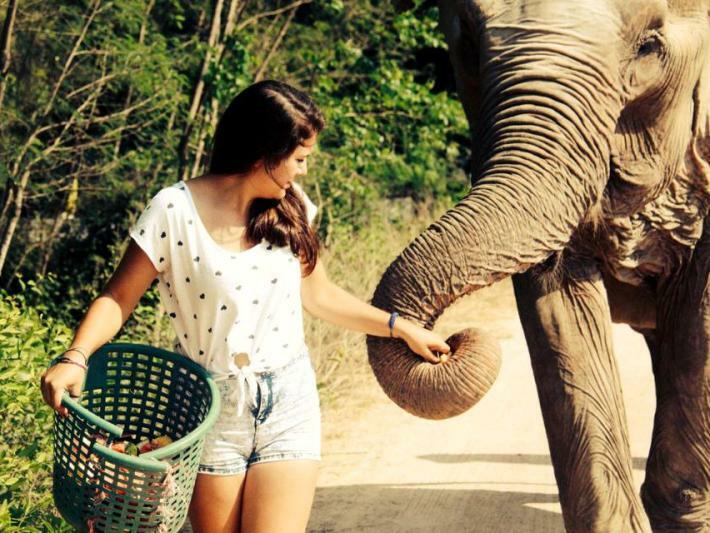 One of the biggest jobs is in feeding the elephants. Elephants need to eat about 5% of their body weight each day – that’s a lot of food preparation! As in South Africa, the weather in Thailand over Christmas is excellent, with temperatures of 31oC expected. 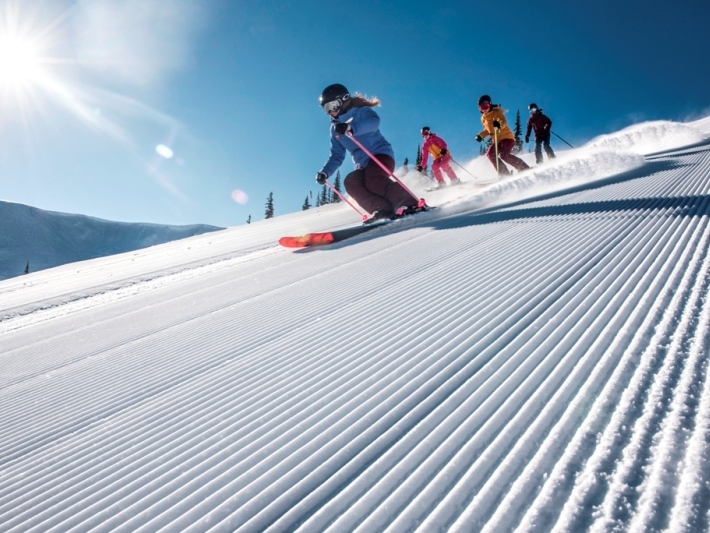 If cold and snowy weather is what you are looking for, look no further than our ski instructor programmes in Canada that take place over the Christmas period. With temperatures in Whistler Blackcomb set to be a high of -6oC and lots of snow expected on Christmas Day, Canada makes for a reliable winter holiday destination, often with more reliable snow than the Alps, and one of the best places to travel to at this time of year. Our first course of the winter season is our 11 week ski instructor course, during which you will take the CSIA Level 1 and 2 exams and qualify as a professional instructor. This course runs between 24th November 2018 and 9th February 2019. With prices starting at £7,725 for an 11 week course, you can spend Christmas in a winter wonderland and gain qualifications at the same time! With Oyster’s flexible payment plans, you can pay off the cost of your trip throughout the year which will make budgeting a lot easier. Once you have made your initial booking payment of £180, we ask for £450 6 months before departure and the final balance 60 days before you leave giving you most of the year to raise your funds. For more travel ideas, check out the Oyster Worldwide website and make 2018 the year that you resolve to do something different and see the world. From all of us here at Oyster Worldwide, we wish you a very Merry Christmas and a responsible travel filled New Year! Previous Post How Christmas is celebrated around the world?